Experiences in life matter a lot. Once in a lifetime, everyone should visit some place which would leave an everlasting impact on their minds and would take away a bit of their hearts. An experience of the country life is something which can bring you close to sublime nature and its exotic but acquainted beauty, hence, leaving you with timeless memories. Have you ever thought of leaving your lavish and posh hotels behind to spend a few days in a farm stay to experience the countryside and to be surrounded by the overwhelming charm and beauty dispersed all around by nature? If yes, then you have reached the right article, as below are the top 5 majestic farm stays in India where you can get in touch with the loveliness of the nature and the grace and hospitality of the country life. It is an eco-friendly farmstay that works in collaboration with Haryana tourism. This farmstay with the rural setting and a touch of city life hosts several activities for its guests. Here, you can ride a bullock cart, play on farms, relish fishing moments and enjoy the peaceful and pollution-free environment. Lip-smacking food and cosy rooms in authentic style make it a perfect farm stay to spend time at. Away from the hustle and bustle of traffic and city life, amongst fields and mountains and spread over 130 acres of prolific land is the The Country Retreat. One can enjoy cycling, birdwatching, village safari and spectacular views of fields and mountains here. If you are planning a stupendous farm stay, then The Country Retreat is certainly a go and worth all your time. With fresh and healthy meals to warm rooms, all homely comforts can be experienced here. This is a perfect and ideal farm stay in God's Own Country. Set on a green island, Philipkutty's Farm is a year-round destination for all nature lovers. 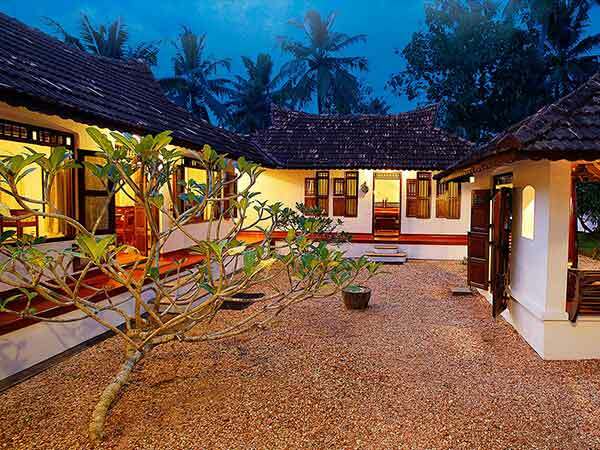 In the backwaters of Kerala with luxurious villas garnished with antiques, this farm gives its guests the best of experiences by providing them spectacular views, organically produced food and modern amenities as well. The activities carried out here include birdwatching, fishing, canal cruises, tours around the farm, etc. If you are looking forward to experiencing the best of rural and modern life together, then Philipkutty's Farm is a must-stay terminus. This is an ideal destination for everyone who desires to have an authentic Himachali experience. It can also be called a home away from home on account of its warm hospitality. Located amid the lush greenery of valleys and reflecting the sheer presence of attractiveness all around, Himalayan Orchard offers its guests a wide range of facilities from healthy and nutritious food to comfy rooms and magnificent surroundings. Activities to do include fishing, hiking, birdwatching, photography, nature walks, etc. If you want to feel at home away from home and experience exotic wonders along with it, then Himalayan Orchard is your place. One of the most popular farm stays in Northeast India and surrounded by cardamom fields and tea gardens, Bon Farmhouse is an absolute stoppage to detox and rejuvenate yourself and eventually get entirely absorbed in the pleasant surrounding. With all modern amenities, this farmhouse offers its guests luxurious and spacious rooms, healthy and organic food and many other comforts. The activities which can be carried out here include sightseeing, birdwatching, nature walks, photography, hot stone herbal baths, etc. So, these are 5 majestic farm stays to enjoy the exotic beauty in India. These all are year-round destinations and can be visited anytime. If you long for a perfect stay to experience the best of rural and modern life together, then it is time to get ready and roll down to these wonderful farm stays. Hurry up! Get yourself a lifetime's experience.